Canned hams and tin can travel — not so suddenly trailer lingo is on the tongue. There has been a revival of vintage camping that shows no signs of slowing down. In fact, old-school trailers are the new focal point at weddings and parties, serving as everything from dressing rooms to cupcake carts. 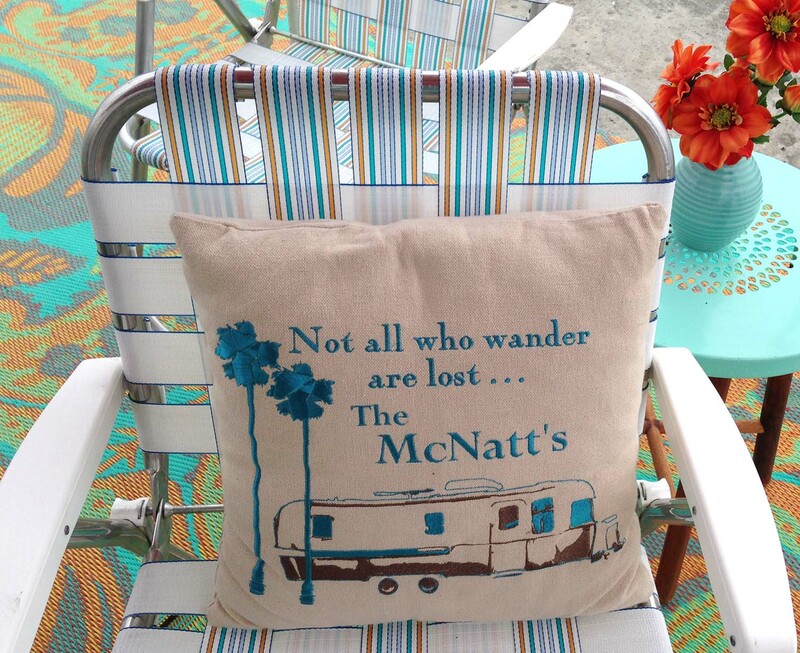 Vintage trailers make great guesthouses too as this is how my sister-in-law uses her collection of 12 Shastas, Airstreams and Teardrops on her Northern California property. I have to admit that “Fifi”, a large Airstream done up in meow-décor, is fairly comfortable for a day or two, although it leans pink. The last time travel trailering was the rage was after WWII when highways were expanded across the nation and middle class folks were finding a few extra bucks in their pocket. America hit the road to see Yellowstone and the Grand Canyon. And all the comforts were yours along Route 66. More than just finding a vintage trailer to restore to your liking is joining the communities of vintage trailer enthusiasts. Nothing like a gated community, but groups that invite all comers and caravan together if only to see what the other guy has going on. That and the cocktail parties. Sisters on the Fly are an example of happy camper groups who love rivets as much as river fishing — in the spirit of the Wally Byam Caravan Club International who trailered as far away as Africa in the 1950s. More than anything though, vintage trailers are fun. Not only are they small-scale decorating opportunities, they take you to far away places where you’ll meet new friends. Here’s our 1969 Airstream Caravel all polished up and on the road.